It is difficult to comprehend the size of Indonesia. The archipelago consists of over 17,000 islands, including several of the largest islands in the world, as well as thousands of tiny uninhabited islands. The number of beaches in this vast country numbers in the hundreds of thousands. Contributor Enoksen89 advises us to "Forget Bali". 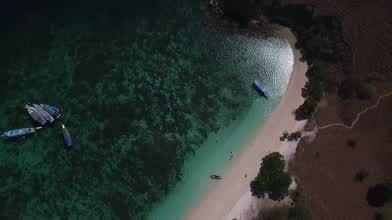 Using a drone, he takes us on an aerial tour of many hidden beaches tucked away in the corners of the vast Southeast Asian archipelago. In this video i show you the real Indonesia. Hidden worldclass beaches and islands.